To rare American cast iron richly ornamented garden urn. 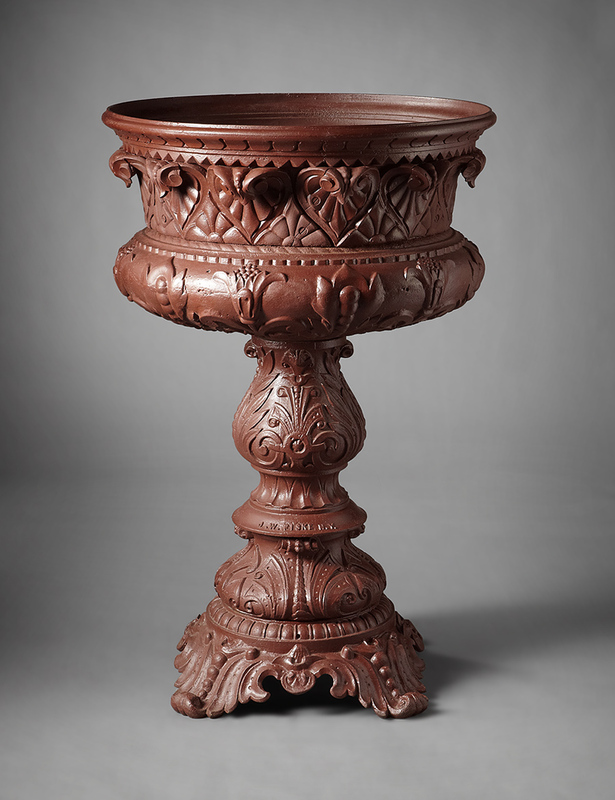 The Urn is decorated with reflief leaves and paterea, Standing on a base with richly decorated feet. The urn is marked by the Maker JW Fiske. A great garden item.